Our Team at Le Gourmet Kitchen | Le Gourmet Kitchen Ltd. Founder and co-owner, Le Gourmet Kitchen Ltd.
An artistic soul with a passion for cooking is the ‘Edge’ that Bruce possesses. He is best described as a creative, fun loving people-person with a good sense of humor. 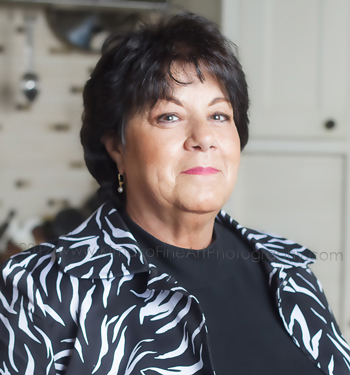 These personality traits are what drive the marketing and public relations side of the business, and when combined with Bruce’s out of the box thinking, have made Le Gourmet Kitchen successful for over 25 years. Born and raised in Historic Hyde Park, New York, a small historic town along the Hudson river, Bruce moved to Los Angeles in 1983 to advance his career in the kitchen and bath design industry. Soon after, he worked in the Pacific Design Center and was exposed to the growing contemporary trends coming out of Europe in the early 1980’s. A promotion to General Manager of the Poggenpohl Beverly Hills showroom helped Bruce develop the business and marketing skills necessary to succeed in the upscale kitchen market, and for the next several years he completed numerous projects throughout Southern California, the Western United States and overseas. “A kitchen is really like a painting; you begin with a bare canvas then add the design elements that are inspired by listening to the clients’ desires. Balance and proportion are essential. Good design is timeless”. In 1990 Bruce relocated to Orange County to work for a startup company in Newport Beach, but the company closed its doors due to the economic downturn. This event provided an opportunity for Bruce and his former business partner to establish what is now Le Gourmet Kitchen. 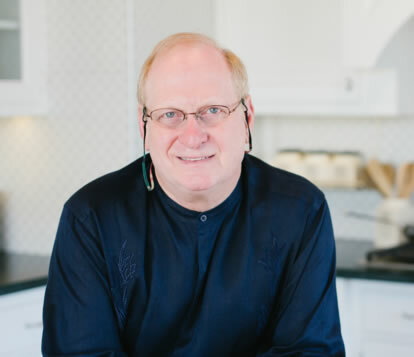 Bruce is an accredited Certified Kitchen Designer (CKD), whose work has been featured in several publications. He has been designing kitchens and baths for over 35 years and in that time completed more than 1000 projects. Bruce believes that design doesn’t need to be compromised for budget. He encourages his clients to invest in the design and carefully select the materials that best suit their budget. When not working at LGK, Bruce can be found at his home enjoying a glass of wine, entertaining and cooking. He resides in Mission Viejo with his wife of 26 years and their two children. He loves the outdoors and can often be found biking or running trails in the back country of Orange County. Co-owner, Le Gourmet Kitchen Ltd.
Jonathan is best described as an accomplished home chef who loves to cook and learned how at his grandmother’s knee. A creative spirit with a keen business sense makes Jonathan a perfect person to lead the administrative side of Le Gourmet Kitchen. Jonathan was born and raised in South Africa and moved to the US in 1990. He studied architecture before focusing on kitchen and bath design as a profession. Jonathan has earned the credentials of Certified Master Kitchen and Bath Designer (CMKBD), and Certified Interior Designer (CID). His travels abroad and residency in other parts of the world have given him a broad perspective from which to draw upon when designing for his clientele. The cultures, geographies and design elements from his travels offer him a rich resource of ideas. 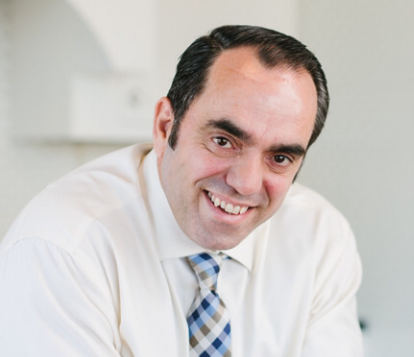 Jonathan possesses over 20 years of experience in the Kitchen and Bath Industry and brings his enthusiasm and originality to every project he works on. Described as “a less-is-more, keep-it-simple kind of person,” he considers the welfare of the client in every design choice he makes, be it aesthetic or mechanical. He seamlessly blends form and function with an elegant style to create kitchen spaces that are warm and comfortable havens in which to work. “My clients are more than my customers – They’re my friends. I don’t provide anything to them that I wouldn’t have in my own home”. Jonathan is a boating enthusiast, and when he is not working can often be found on his boat enjoying the ocean surroundings. This passion has spanned more than half of his life and during his youth he was a crewman in the National Sea Rescue Institute (NSRI). Jonathan resides in Anaheim Hills and is always honing his culinary skills on another gourmet dish to share with his wife and family. Dave is a graduate of University of California, Berkeley. He is the most recent addition to our team, serving as Project Manager for Le Gourmet Kitchen. Since joining us in 2017, he has become instrumental in keeping our projects on schedule and running smoothly to completion. The entire team at Le Gourmet Kitchen understands the value of great design and using high-quality products for a home remodel. 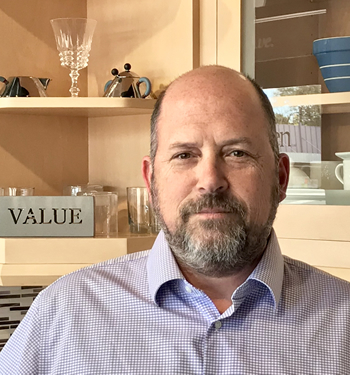 Dave is the member of our organization that makes sure we can successfully transform our design concepts into reality by closely managing every aspect of each project implementation. He sees every design through to completion and guarantees no detail is left unattended, keeping every project running according to our agreed schedule and budget. In his spare time, you will find Dave enjoying the outdoors. He loves hiking, camping, running and enjoys getting outside with his dogs. Like the rest of the team, Dave is a talented home chef. Amanda, who prefers to be called Mandi, has a diverse skill set. The very best way to describe Mandi’s role on the Le Gourmet Kitchen team is General Factotum, because she does so much behind the scene! She excels in customer service and enjoys keeping in touch with our clientele. She brings dedication, attention to detail and compassion to everything she does. Mandi’s career path did not start in the design and remodeling business. She entered this field while seeking a new career direction after spending 30 years in the food, beverage, and entertainment industry. During that time, she was a professional singer and performer having recorded for Motown and RCA records. Mandi joined Le Gourmet Kitchen in 2008, after learning about an opportunity with our dynamic team through a friend. She has not looked back since joining the team and is a key player in keeping our organization running smoothly. Mandi’s roles include managing the customer service channel, order processing, bookkeeping, and much more. Like everyone on the Le Gourmet Kitchen team, Amanda is an excellent home cook. She also loves spending time outdoors, and in particular enjoys gardening and working in her yard. Karina is our multi-talented Technical Director at Le Gourmet Kitchen. She was born in Seoul, Korea, and graduated from Brooks College in Long Beach with a degree in Interior Design & Fashion Design. Karina is an artist and expresses her passion through painting and woodworking. Her journey into the kitchen and bath industry happened during school when she entered a design competition prior to graduation. Her exhibit won the Best of Show award and gained the attention of a Kitchen Designer. This designer was very impressed by her work and provided an opportunity that kicked off Karina’s career in 2005. Karina joined the Le Gourmet Kitchen team in 2007 and is a driving force behind the design team-turning the amazing designs into a reality. Karina keeps the design team on its toes by making sure every detail of every project is up to our exacting standards. She checks that the planning is correct and uses AutoCad for the detailed drawings. Karina also helps with preparation of the factory order processing and associated details to make sure everything is perfect. 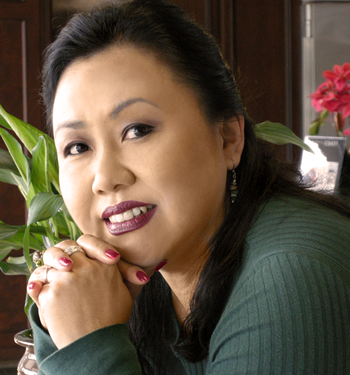 The inspiring world of kitchen and bath design brought together her love of art with her technical skills and natural flair for managing details. Outside of work, she loves to cook and has a particular talent for producing delicious baked goods.